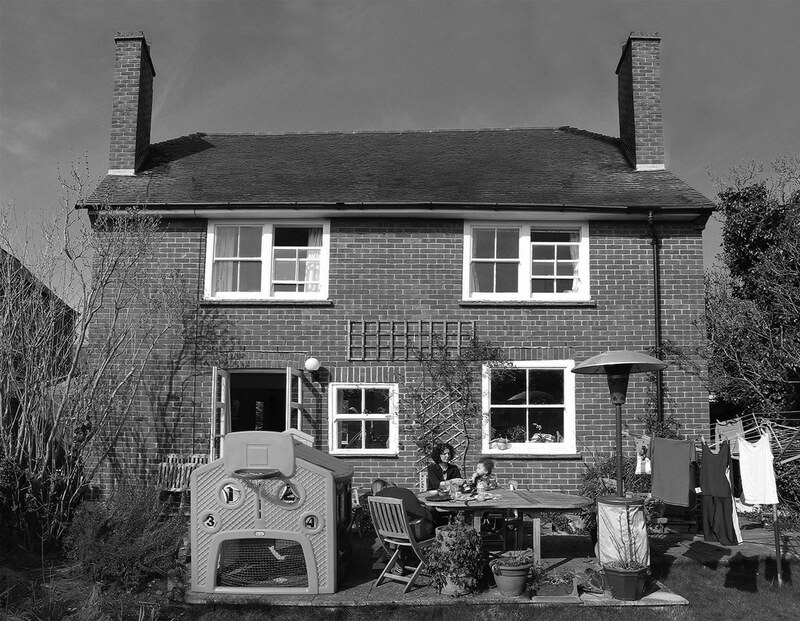 A loose brief was given to the practice by a couple with a young family for ‘a contemporary single storey extension, to provide extended living and kitchen accommodation.’ Considering the family and area available it was clear that the extension should be suitable for young children during the day and an adult entertaining area by night. 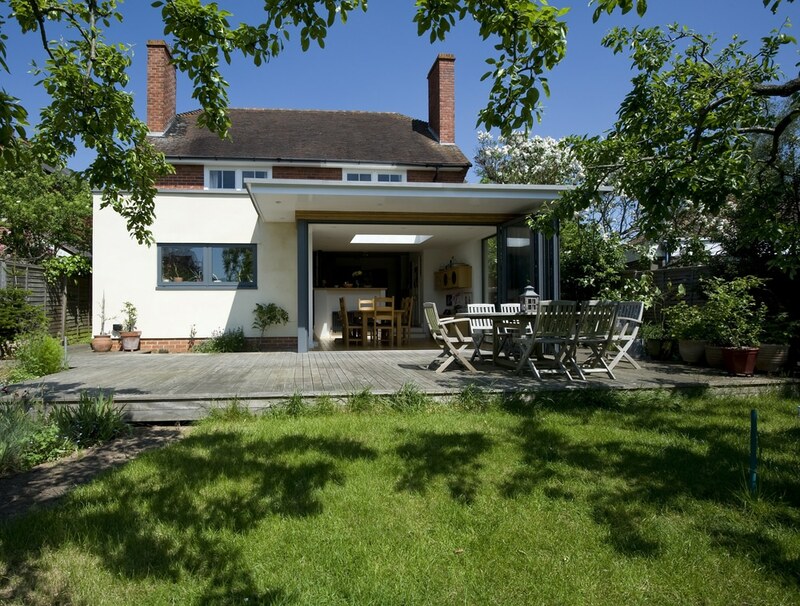 Further discussions with our clients revealed they wanted easier access to their south facing garden; the existing house had French doors out on to a concrete patio and their small children found negotiating the steep steps out of the house difficult. The change in level from the main house into the garden was an advantage that we exploited in the design; the dining area was set at garden level, with shallow steps down from the kitchen and family living areas. 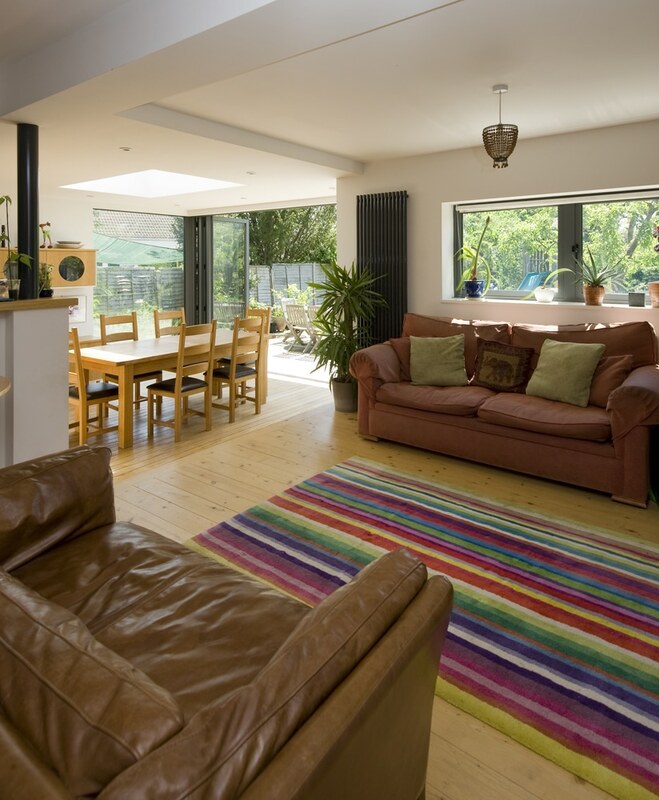 These steps helped define the dining area and allowed a higher ceiling height than the main house, thus giving the occupants a real sense of occasion when dining (or finger painting). 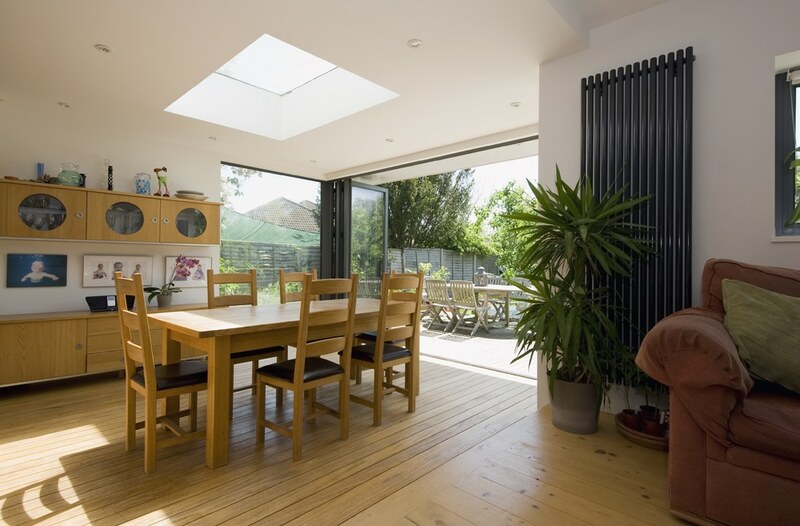 Unobstructed views from the kitchen over the dining table into the garden are also achieved. 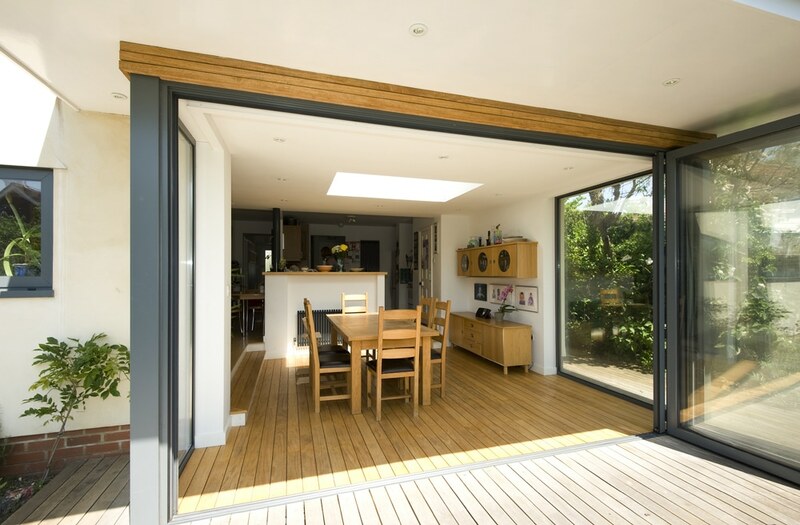 An external timber deck was set at the same height as the new floor level and with full height glazed sliding/folding doors to the dining area, easy access to the garden is now possible. 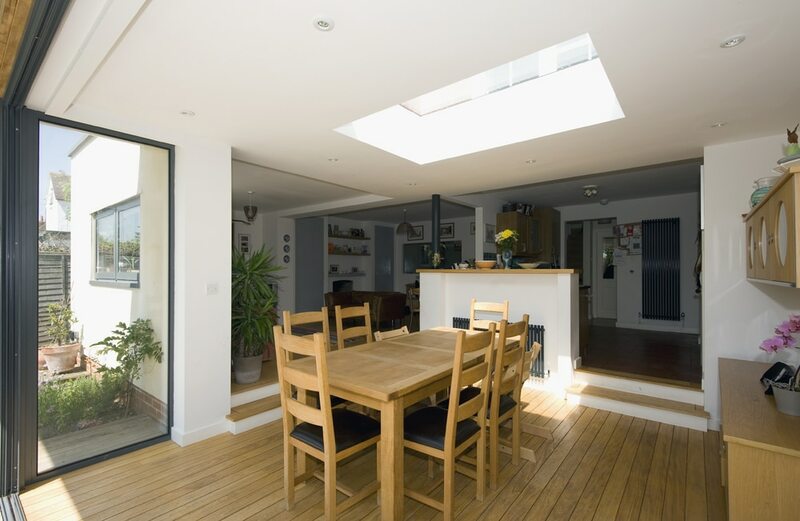 The large areas of glazing help bounce light into the interior of the house and large overhangs to the roof allow the doors to be open even when the weather is less than sunny. 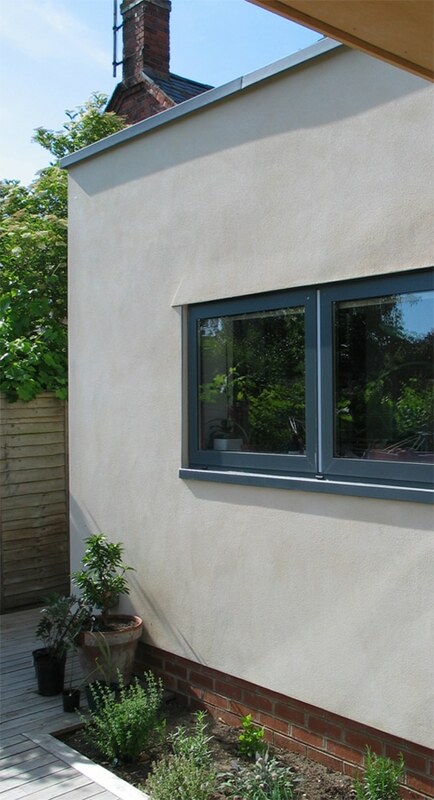 Working on our extension with Allister was a pleasure from start to finish and we cannot recommend him highly enough. He listened to what we wanted and also came up with some much better ideas which we would never have thought of ourselves. We are so pleased with how its all turned out and very glad we followed Allister's suggestions for rearranging our downstairs layout. It has changed the way we use our living space and made life so much better that we can't imagine living any other way now.